Feel so Cool on mountain Kenashi! - Travel Tips to Nozawa onsen Japan! Feel so Cool on mountain Kenashi! No snow on mountain "Kenashi". Once go up, feel so cool!! Flower Garden is spread, great Trekking Tours are attractive and cool & flesh Air is more worthful! The Best Summer season has just begun! 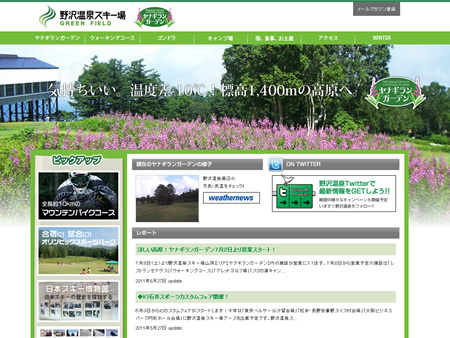 Check out this Nozawa onsen Green Field web site.